Brand new item! The 2015 NTPA Championship Pulling Series on RFD-TV, presented by Case IH, has arrived! This seven-disc set contains all 26 episodes aired on RFD-TV, showcasing the 2015 NTPA Grand National Pulling Circuit. Filming took place in Benson, North Carolina; Hutchinson, Minnesota; Tomah, Wisconsin; Chapel Hill, Tennessee; Bowling Green, Ohio; and Urbana, Ohio (Enderle Pull-Off). 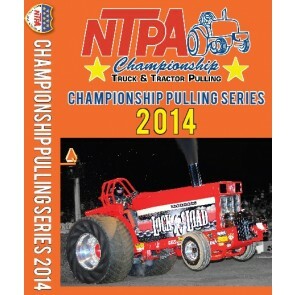 The 2014 NTPA Championship Pulling Series on RFD-TV, presented by Case IH! 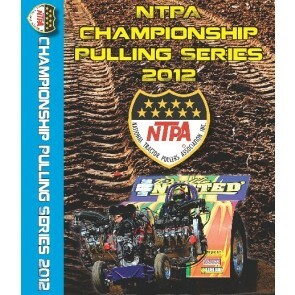 This seven-disc set contains all 26 episodes aired on RFD-TV, showcasing the 2014 NTPA Grand National Pulling Circuit. Filming took place in Hutchinson, Minnesota; Tomah, Wisconsin; Chapel Hill, Tennessee; Bowling Green, Ohio; Sandwich, Illinois; Urbana, Ohio (Enderle Pull-Off); and at the NTPA Awards Banquet in Columbus, Ohio. The 2013 NTPA Championship Pulling Series on RFD-TV, presented by Case IH! 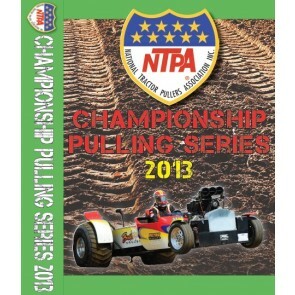 This five-disc set contains all 26 episodes aired on RFD-TV, showcasing the 2013 NTPA Grand National Pulling Circuit. Filming took place in Hutchinson, Minnesota; Tomah, Wisconsin; Chapel Hill, Tennessee; Bowling Green, Ohio; Jefferson City, Missouri; Urbana, Ohio (Enderle Pull-Off); and at the NTPA Awards Banquet in Columbus, Ohio. 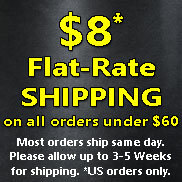 The 2012 NTPA Championship Pulling Series on RFD-TV, presented by Case IH! This set contains all 26 episodes aired on RFD-TV, showcasing the 2012 NTPA Grand National Pulling Circuit. Filming took place in Hutchinson, Minnesota; Tomah, Wisconsin; Chapel Hill, Tennessee; Bowling Green, Ohio; Jefferson City, Missouri; Urbana, Ohio (Enderle Pull-Off); and at the NTPA Awards Banquet in Columbus, Ohio. The 2011 NTPA Championship Pulling Series on RFD-TV, presented by Case IH! 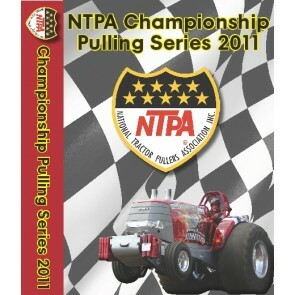 This set contains all 26 episodes aired on RFD-TV, showcasing the 2011 NTPA Grand National Pulling Circuit. Filming took place in Hutchinson, Minnesota; Tomah, Wisconsin; Chapel Hill, Tennessee; Bowling Green, Ohio; Jefferson City, Missouri; Urbana, Ohio (Enderle Pull-Off); and at the NTPA Awards Banquet in Columbus, Ohio. 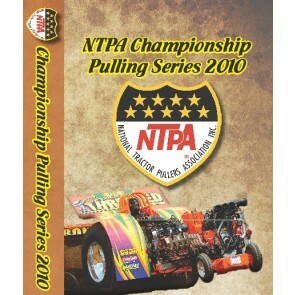 The 2010 NTPA Championship Pulling Series on RFD-TV! This set contains all 26 episodes aired on RFD-TV, showcasing the 2010 NTPA Grand National Pulling Circuit. Filming took place in Tomah, Wisconsin; Chapel Hill, Tennessee; Bowling Green, Ohio; Jefferson City, Missouri; Urbana, Ohio (Enderle Pull-Off); and at the NTPA Awards Banquet in Worthington, Ohio. The 2009 NTPA Championship Pulling Series on RFD-TV! 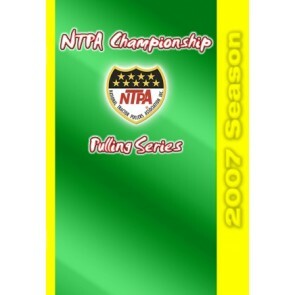 This set contains all 26 episodes aired on RFD-TV, showcasing the 2009 NTPA Grand National Pulling Circuit. Filming took place in Tomah, Wisconsin; Chapel Hill, Tennessee; Bowling Green, Ohio; Urbana, Ohio (Enderle Pull-Off); and at the NTPA Awards Banquet in Worthington, Ohio. The 2008 NTPA Championship Pulling Series on RFD-TV! This set contains all 26 episodes shown on RFD-TV, showcasing the 2008 NTPA Grand National Pulling Circuit. Filming took place in Tomah, Wisconsin; Georgetown, Ohio; Chapel Hill, Tennessee; Brandenburg, Kentucky; Bowling Green, Ohio; Urbana, Ohio (Enderle Pull-Off); and at the NTPA Awards Banquet in Worthington, Ohio. 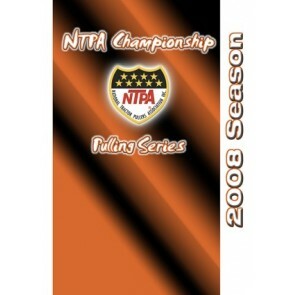 The 2007 NTPA Championship Pulling Series on RFD-TV! This set contains all 26 episodes shown on RFD-TV, showcasing the 2007 NTPA Grand National Pulling Circuit. The filming took place in Tomah, Wisconsin; Henry, Illinois; Chapel Hill, Tennessee; Saluda, South Carolina; Bowling Green, Ohio; Fort Recovery, Ohio; Urbana, Ohio (Enderle Pull-Off); and at the NTPA Awards Banquet in Worthington, Ohio. The NTPA moved back inside for the Winter Nationals in Cloverdale, Indiana January 23-24, 2015. Both sessions featured the top pullers in three Invitational, Grand National divisions: TWD Trucks, Pro Stock Tractors and Super Stock Diesel Tractors.